The research fields and courses of Power & Energy group of E.E. Dept. 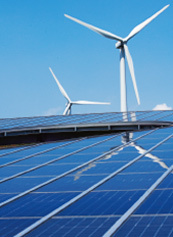 focus on Smart Grid, Microgrid, Intelligent Computation, Wind Power System, Solar Power System, Power Quality, Railway Power System, Power Electronics and Protective Relaying. Four laboratories are included: Intelligent System on Power Engineering Research Lab, Electrical Power and Environment Research Lab, Power System and Energy Research Lab and Smart Grid Research Lab. 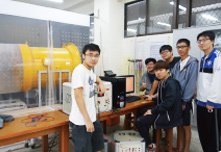 Intelligent System on Power Engineering Research Lab emphasizes on solving power engineering problems based on innovative and intelligent methodology. Major research interests include Power System Security and Stability, Power Quality, Transient Phenomenon and Voltage Dips,Electricity Market, FPGA Design, Wind Turbine Dispatch and Control, etc. Power Quality, Artificial Intelligence, Information Technology in Power Engineering, Microgrid. Electrical Power and Environment Research Lab emphasizes on solving the problems in electrical power environment based on innovative and practical technology. Major research interests include Microgrid Protection, Protection of Energy Storage System, Electrification Railway System, Power Plant Evaluation, etc. Electric Power Industry Deregulation, Railway Electro Mechanics, Protective Relaying, Overvoltage Protection, Introduction to Smart Grid, Design of Power System Protection. Electrical Engineering Building, Room 351.Please contact: Prof. Shi-Lin Chen, Email: slchen@dec.
Power System and Energy Research Lab emphasizes on developing technologies of renewable energy and green power. Major research interests include Harmonics, Maximum Power Tracing of Wind Turbine, Fault Detection of Wind Turbine, Partial Discharge of Transformer, etc. Advanced Power Engineering, Green Power. Storage System, Distribution Automation, etc. 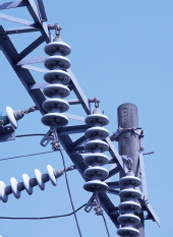 Power Generation, Operation and Control, Power System Automation and Smart Grid.